Cobalt, a crucial element in batteries for cellphones and electric vehicles, has been drifting lower since hitting near 10-year peaks on the LME in March, but is still up nearly fourfold from its 2016 trough. Mindful of the fact that the volatile commodity reached $115,000 a tonne a decade ago, long before EV demand was included in price projections, battery makers have been working hard to find a substitute for cobalt, or at least reduce the required loading to as little as possible. Battery manufacturers (with ample pressure from the auto industry) are hard at work to get the mix to 811 or better. 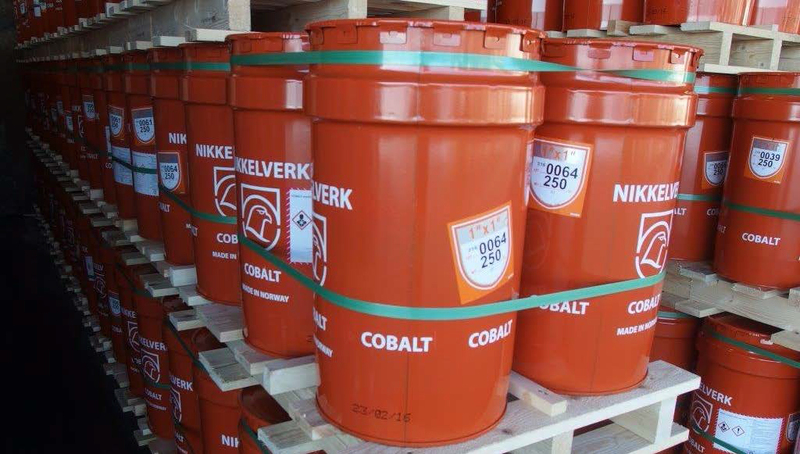 NCM batteries with 523 (20% cobalt) chemistries are being mass-produced and Tesla claims its nickel-cobalt-aluminum (NCA) technology has cobalt content equivalent to 811. 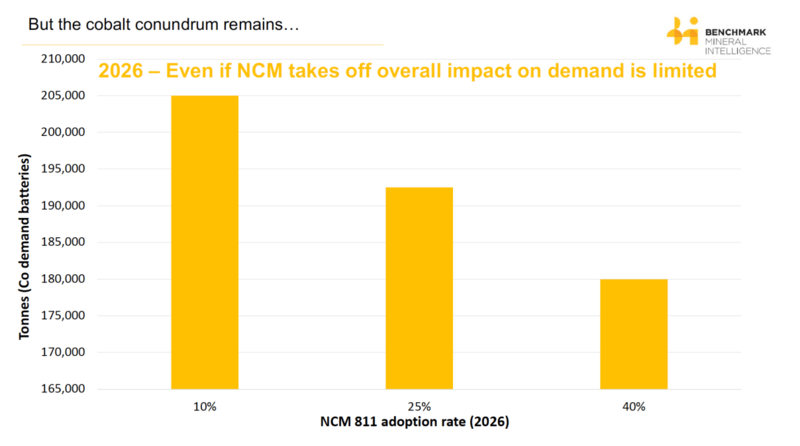 In a trenchant new note Benchmark Mineral Intelligence, a provider of price information and research on battery supply chains, warns that the impact of 811 “is going to be minimal in the short term”.